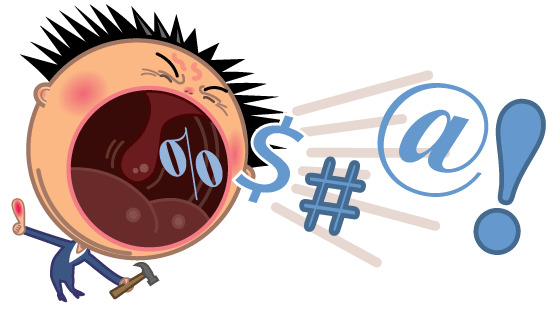 The Tipping Point: Is Swearing Sinful? Swearing seems to be one of those things that Christians feel that they shouldn't do without really knowing why. It's generally frowned upon and viewed as a 'worldly' thing despite the lack of a clear basis for that decision. Christian culture is one thing; a Godly lifestyle founded on Biblical ethics can be something else altogether. 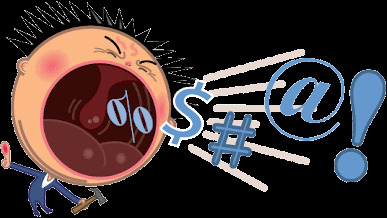 So it's worth asking: is swearing actually sinful or is it just part of the Christian status quo? The church culture that sees swearing as negative is in no small part influenced by family values. Christian kids are brought up to keep their language clean and even adults whose speech is peppered with f***s tell their kids off for swearing because that's supposed to be part of good parenting. People who grow up in the church think of swearing as a horrendous evil to be avoided at all costs. So swear words are cast out of the church and a leader who swears from the front risks being tut-tutted, rebuked or - in some churches - fired. Yet what counts as taboo in the church isn't necessarily sin in God's eyes. The red herring, in my view, is seeing certain words as inherently sinful. I once went to a talk by someone from the British Board of Film Classification, which gives ratings to all the films that are released in the UK. He said that the difference between a 15 and an 18 rating can be in the usage of one strong word. You can have fifteen uses of 'f***' and get a 15 but if someone says 'c***' then the rating goes up. The reason is that some words are perceived to be more offensive than others. Yet a word by itself isn't sinful; it's in its use as an insult, an angry outburst or a frustrated comment that it creates sin. The issue isn't taboo language, it's heart attitudes. In my view, calling someone a nincompoop and calling someone a c*** amounts to the same thing: it's a word spoken as an act of aggression to bring someone down. The anger/hurt/ill-feeling is the problem, not the use of a 'naughty' word. Nevertheless, that's not to say that swearing is helpful or beneficial. Someone who lives to a soundtrack of 'f***ing this' and 'f***ing that' isn't necessarily going to find it easy to love people and live with peace. The words we say are an indication of what's going on inside us. Jesus taught that "every good tree produces good fruit, but a bad tree produces bad fruit" (Matthew 7:17). If there's negativity coming out of your mouth then it's a sign that there's negativity in your heart. Part of speaking positively is using restraint and thinking about the words you use but ultimately nothing can beat tackling the root issue in the heart. At the end of the day, the inner self is where everything sinful comes from (Matthew 15:18-19). The aim should be having a pure heart that produces pure words that don't contradict our worship of God (James 3:9-10) but which instead build other people up (Ephesians 4:29). It makes sense to me that swearing shouldn't be commonplace for a Christian and that Godly language should generally exclude certain choice words. But placing a blacklist on a selection of taboo words is too simplistic and conveniently ignores the heart attitudes behind our language choices. There's no sin in using s*** as another way of talking about poo. Similarly, sometimes you just have to say that you've had a crap day; 'bad', 'rubbish' or 'awful' simply won't cover it. God's going to judge us on the stuff that really matters, not on whether we rock the boat of church culture by using a word that's actually doing no harm. So is swearing frowned on in churches? Sure. Is it helpful and positive? Not usually. Sinful? Look at your heart.